Lawful Source of Funds | The Law Offices of Yuri Tsyganov, P.L. As an international immigration EB-5 lawyer, I have had the pleasure of working with individuals from many different countries and walks of life. Part of such cooperation is learning about the business practices of your client’s country. 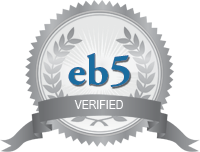 One may ask how such knowledge can be useful when working on an EB-5 visa application. The answer: Extremely useful! The USCIS requires that the foreign investor’s funds come from a lawful source. In other words, the U.S. Government does not want money that has been earned from terrorism, drug smuggling, or money laundering to enter the country’s economy. Seems simple enough, right? As long as my money was not earned through the above mentioned activities, my application should be approved. Correct? Well not exactly! The USCIS requires that the applicant or his or her EB-5 immigration lawyer provide a detailed documentation and explanation of how the investment funds were earned by the investor. Showing the source of funds is often the most difficult part of the EB-5 application process for most investors from Russia and the CIS countries. It is still common for Russians to conduct business transaction with cash. Although the funds have been earned through lawful means, the difficulty that comes along with such business practices, is lack of evidence that is required to prove the lawful source of the invested capital. We have assisted a number of investors from Russian and the CIS countries in correctly structuring and presenting the documentary and legal evidence required to guide the USCIS adjudication officers. It is our knowledge of the business practices that are indigenous to this part of the world, which allows us to overcome this difficult hurdle. Whether it is through the sale of a property, through a bank loan, through the sale of a business, through the sale of stock, or even through a gift: We may be able to help you present the transaction the correct way.